C9 - a 55 foot slip on the 10 foot wide floating docks at Riviera Dunes Marina. 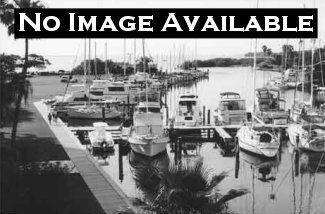 It is conveniently located on the center dock at the most protected marina on the west coast of Florida. Slip will accommodate a boat up to 60.5 feet long and 16.6 feet wide. Power is 1 50 amp plug or 2 30 amp plugs using a pigtail. Slip includes a large dock box. Marina features secured gated docks with 24 hour access, both diesel and gas fuel, pump outs at fuel dock and dock side, 2 pools, Restaurant , large social deck with grills, pet friendly walking area, laundry, showers and plenty of parking. Please contact us with any questions. Sale Price: $105,000 Mostly listings charge by "Flat Rate" per month.